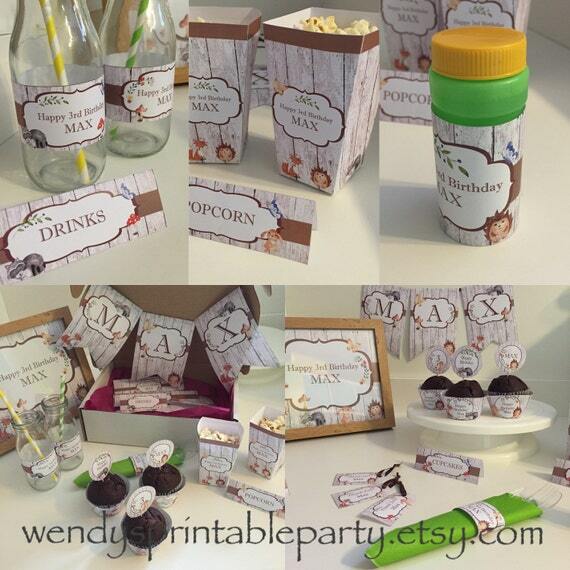 Welcome to Wendy's Printable Party! 7. Napkins labels (6 per sheet - 3 designs) size is 7"x 1.5"
8. Bubble labels / wrappers (6 per sheet - 2 designs) size are 5" x 2.5"
9. Thank you tags (12 per sheet - 3 designs) size are 3" x 1.75"
Box width: 1.75" (base) to 2.5'' (top of box). Box depth: 1.75" (base) to 2.5'' (top of box). 1. Click "Add to Cart" to complete your order. 2. Please provide the following information in the "Notes to Seller". 3. Once payment has been made a PDF file, together with instructions will be emailed to the email on file with Etsy within 3-5 business days. Please note revisions will be made until you are 100% happy with your order. Then go ahead and print your party package!